Spring is officially here! I love spring. I love all of the flowers and the warm weather. It’s going to be in the 80s this weekend!!! 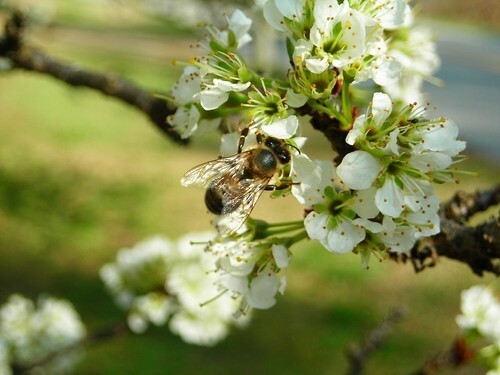 Here is a pic I took of a honeybee in the blossoms of a fruit tree.